One of my Mom’s cousins was a moving van driver and growing up, I was always fascinated how he moved families coast to coast and lived out of his truck. I always wondered how someone would know if something ever happened to him. Times have changed since way back when and today we have global positioning systems (GPS) and satellites to make life for drivers safer and efficient. 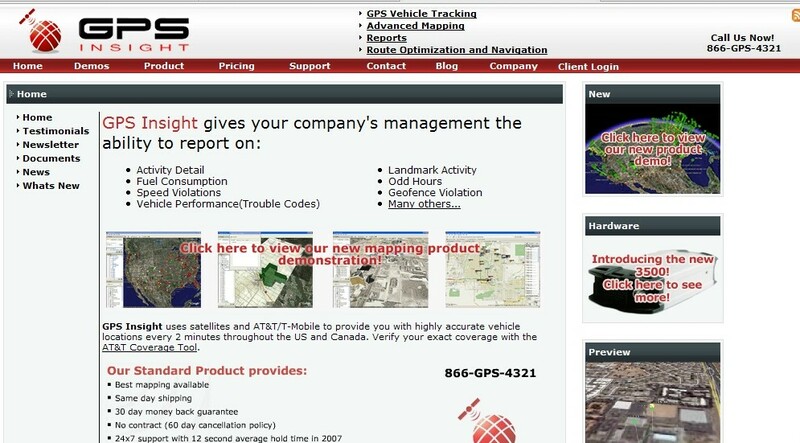 My friends over at GPS Insight have some tools to manage truck fleets. While I’m not in the trucking business, I do understand how good management and efficiency keep a business growing. GPS Insight offers GPS tracking devices and nifty software to track vehicles and I can obviously see how important that is for a business dependent on ground transportation. I checked out their Web site and spent about an hour learning about the various products but have to admit, I loved seeing the capabilities with the maps. Basically how this all works, a simple tracking device is installed in each vehicle (no, you don’t need to be MacGyver to install it). Hardware can be purchased or leased and for $1.50 to $2 a day per vehicle (contact GPS Insight for specific prices), the vehicles are tracked with the GPS Insight software, which includes maps on Google Maps and Google Earth Maps. Tracking of all vehicles on a map. Determining whether a specific vehicle is speeding, idling, etc. Determining how long a vehicle has been stopped. Tracking the direction a vehicle is going. Pinpointing the exact location of a vehicle. Evaluating traffic in specific area, for instance, through a color-coded system, heavy to light traffic is indicated, which would allow the driver to be re-routed. Watching history of where the driver has been. I think you get the point and easily see these are pretty vital things to know in order to run an efficient fleet and business. The maps are impressive and can easily switch between the atlas-style Google Map to Google Earth. A feature can eliminate the topography if the reader prefers reading a smooth map. GPS Insight’s tracking devices must be good. SoBe Beverages contracted with the company in July 2007 to track the Love Bus Tour vehicles on their Web site map. The services are ideal for any company with drivers on the road, be it delivery vehicles, long haul trucking or a sales force. With GPS tracking, a driver’s time can be monitored, efficient routes can be mapped for fuel and time savings and safety is enhanced. Dispatchers and managers can easily track and monitor activity (and real geeks will love playing with all the capable, groovy features of the maps) and to me it seems to be a no brainer, having this product is absolutely necessary to manage a team on the road in order to have a successful business. Interested in learning more? 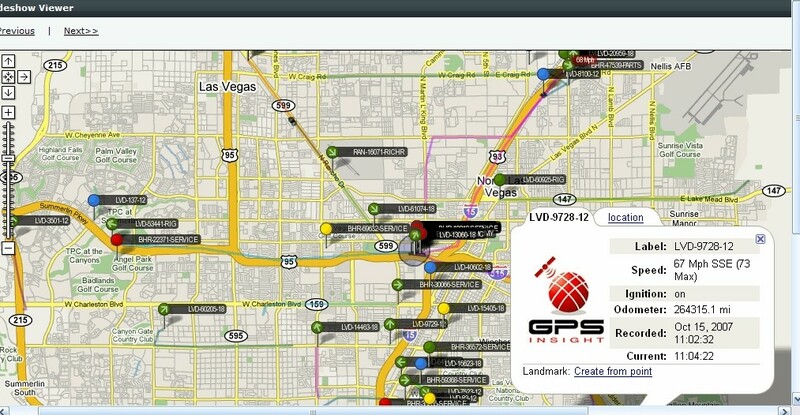 Visit the GPS Insight Web site. Or, checkout their support page or blog.